Anyone who has had their website hacked or inadvertently changed something they shouldn’t have on their websites database, will know the importance of backing up your live websites on a regular basis. The steps involved in backing up and restoring a WordPress database using PHPMyAdmin is no different from any other MySQL powered website. There are lots of plugins and services available for WordPress that make the process of backing up and restoring a database quicker and easier. In this section we would like to show you what we consider to be the best back up solutions available for WordPress. Launched at the end of 2010, VaultPress is the premium backup service from WordPress developers Automattic. In less than a year it has established itself as the benchmark for backing up WordPress. 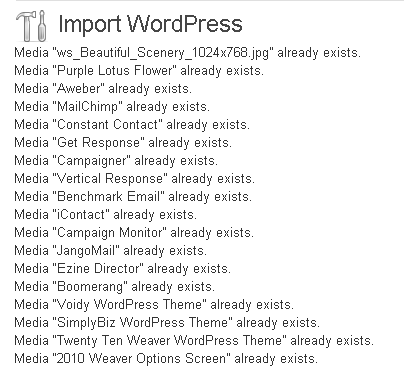 Once the plugin has been installed VaultPress will take a snapshot of your website. The backup includes your database, plugins, themes and uploads. VaultPress is constantly working. 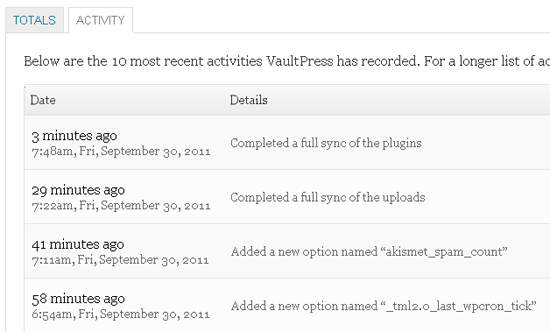 If you check the activity tab through the VaultPress area on your website you will see several updates every hour. You can access your main dashboard at VaultPress through the VaultPress page on your own site. You can see a list of all of your websites that are being backed up by VaultPress with a note of when they were last backed up. 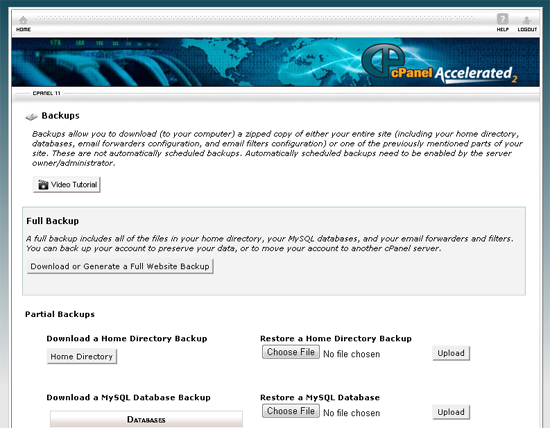 From the backup page you can download a full backup of your website or just your database, plugins, themes or uploads. Older backups can be downloaded too. VaultPress doesn’t just keep backups for a few days; backups are kept from the very first day you started using the service. For VaultPress users who signed up at launch that means that they can download any post, page, theme, plugin or upload since November 2010. This pretty much guarantees that nothing will ever be lost from your website. 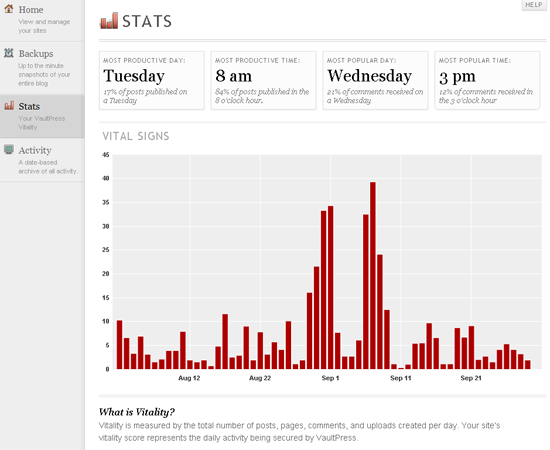 Vitality is a measure of how active your site has been over the last month or so. The score essentially informs you how much content has been added to your site during that time; be it posts, pages, comments or uploads. The basic plan retails for $15 per month per site. The premium package costs $40 per month per site and gives you additional features such as domain and hosting migration assistance, theme and plugin scanning and security scanning. The enterprise plan was created for large businesses who want performance auditing and consultative security. That costs a whopping $350 per month per site. Developed by iThemes., BackupBuddy is a fantastic backup solution that lets you backup your site to your own server, to Amazon S3, to Rackspace Cloud, Dropbox, FTP or email. It backs up your database, themes, plugins and uploads. 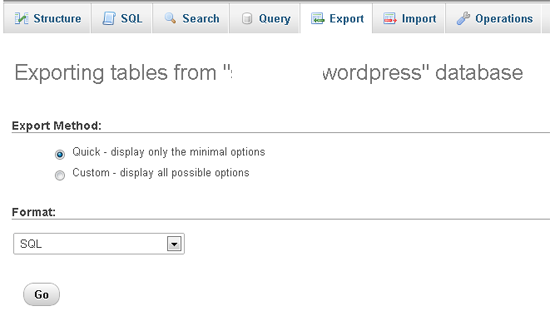 You can even backup non-WordPress tables. You can schedule backups as frequently as you wish, exclude certain directories from backups and limit the number of local backups so your server doesn’t get too full. 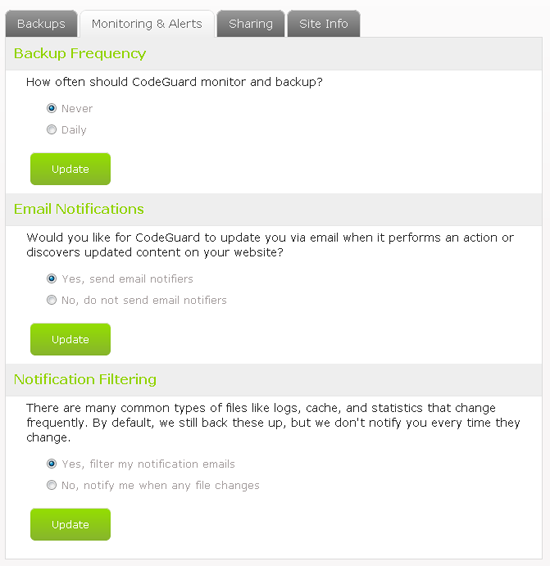 BackupBuddy has a user friendly restore and migrate feature too. All you have to do is upload your file and then enter some details (such as your database information). BackupBuddy Restore Feature from WebDesign.com on Vimeo. A license for two websites retails for $75. 10 websites will cost you $100 whereas an unlimited license costs $150. Unlike VaultPress, BackupBuddy backs up your database to your own server or external services such as Dropbox (most of which are very affordable). This makes it a very reliable and affordable backup solution after the initial outlay (see the BackupBuddy VS VaultPress comparison table for a direct comparison of prices with VaultPress). ManageWP is a service that lets you administrate all of your WordPress websites from the one area. Last month they upgraded their service with support for automatic backups to external FTP, Amazon S3 and Dropbox. You can schedule backups on a daily, weekly or monthly basis. The number of backups you want to keep can be set and you can choose to delete older backups from your server. To backup via FTP, Amazon or Dropbox you simply need to enter information the alternative backup destination. ManageWP is currently in beta development and is therefore free to everyone. From November 2011 the service will cost only $5 per month for 10 websites and $50 per month for 500 websites. With DropBox offering the first 2GB of data for free and Amazon S3 having a very competitive pricing plan; ManageWP is an affordable way of backing up your WordPress website. 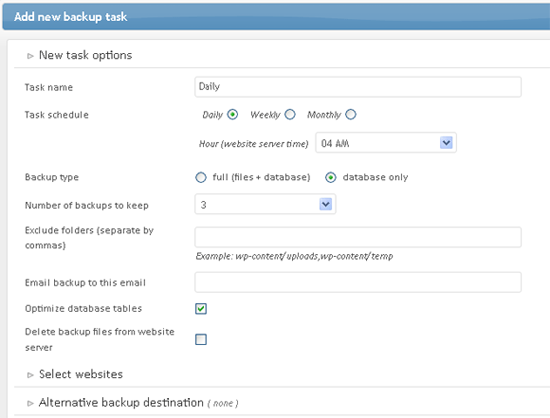 A WordPress plugin that lets you schedule backups to your server or to your Amazon S3 account. Files can be zipped in order to save space in your accounts. 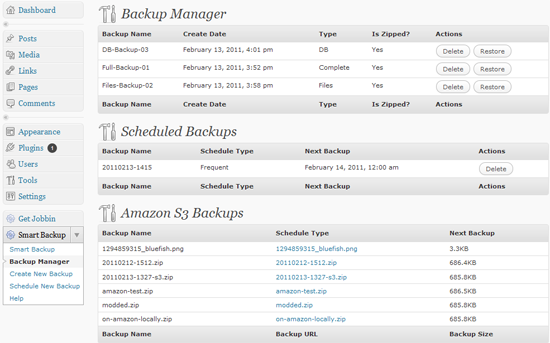 All past backups and future backups are shown on the backup manager page. Backups on your server can be deleted directly through the admin area. You can also restore your database or files by simply clicking on the restore button. Backups can be scheduled on a daily basis if necessary and old backups can be deleted when necessary. You can receive updates whether your files were backed up successfully or not. 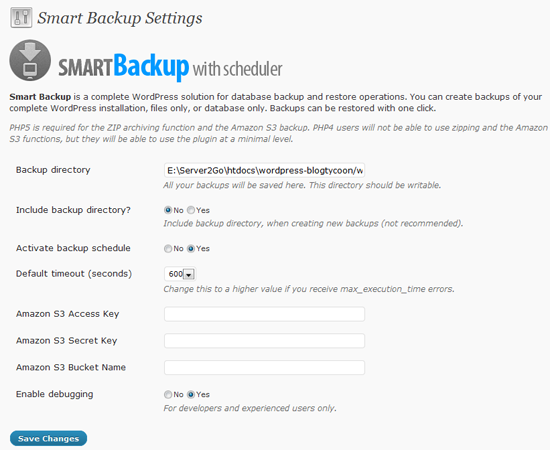 A regular license for WordPress Smart Backup costs only $20. 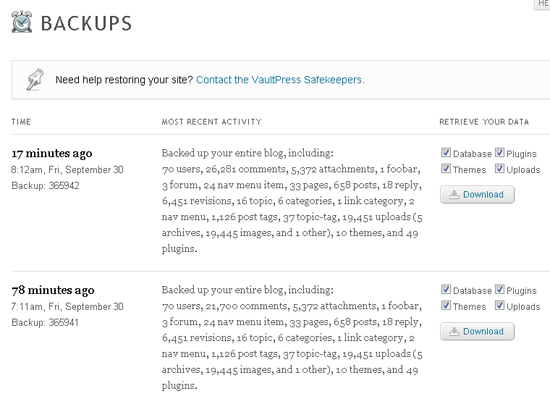 Although not as advanced as VaultPress or BackupBuddy, it’s a useful plugin for scheduling backups on a regular basis. A user friendly service that backs your website up on a regular basis and checks your files for known malware. Your first website on the service is free. All you have to do is enter your website address and the FTP login details and your account will be setup. The first backup takes between 48 and 72 hours but once it’s setup backups can be scheduled on a daily basis. You can also receive updates if any of your files change. Backups can be restored at the touch of a button too. 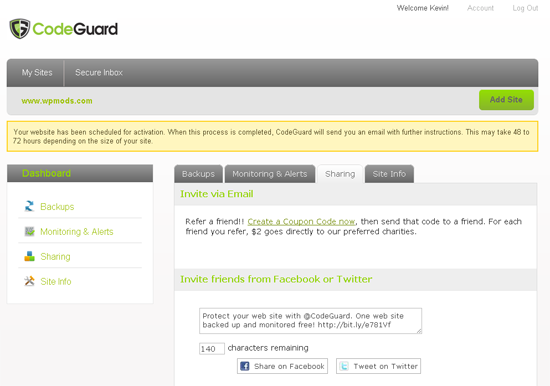 The entry plan for CodeGuard is free and gives you 1GB of storage for one website. The basic plan offers the same storage for $10 per month however lets you backup an unlimited number of websites. The pro plan offers unlimited storage and costs 20% of your hosting costs. A strange way to price a service but it makes sense when you think about it’s a good estimate of their costs. One of the best solutions available if your website files and database take up less than 1GB though you should perhaps re-evaluate your situation if you need more storage space. 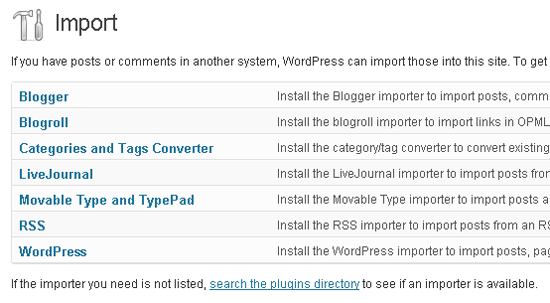 The official WordPress plugin directory is home to many backup plugins for WordPress. All of these plugins are free to download so you want to consider them if you are not keen on spending money on your backup solution or if the solutions mentioned above just don’t suit your needs. MyRepono WordPress Backup Plugin – Automate an unlimited number of backups using the MyRepono backup service. WordPess EZ Backup – Backs up files and databases to your website server. WP Online Backup – Backup your website to your desktop or email. You can also backup up to 100mb of files on Backup Technology’s servers. WordPress Backup To Dropbox – Automatically backs up your files and database to your DropBox account. Xcloner Backup And Restore – Backup and restore your website using the Xcloner application. WP DB Backup – A simple plugin that backs up your database to your website server. The Codetree Backup – Allows you to backup your database, themes, plugins and uploads to your server or via the MyCodeTree server. Snapshot Backup – Creates a backup of your database and all of your files and uploads it to the FTP destination of your choice. Backup And Move – Allows you to create a backup of your WordPress database and restore it on a different location at the touch of a button. Bei Fen – The predecessor of WordPress Smart Backup, Bei Fen allows you to schedule backups to your server for your database and all of your files. 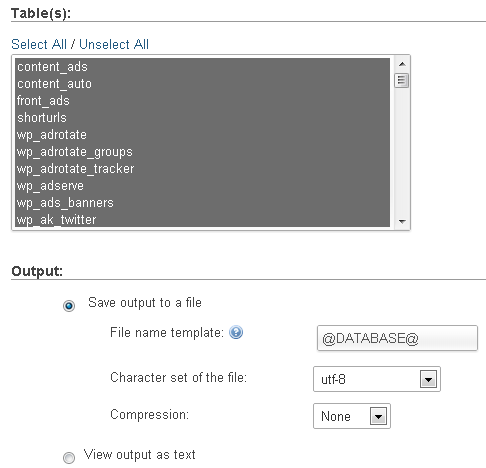 WordPress SQL Backup – Lets you backup your database and your wp-contents directory. Automatic WordPress Backup – Backup your important files to the Amazon S3 storage service. 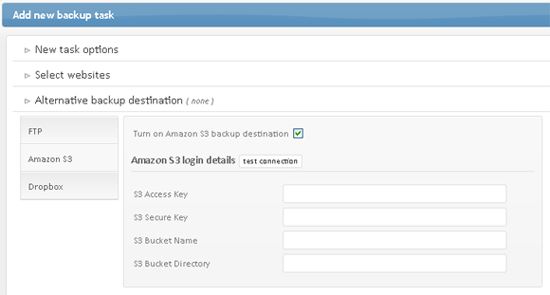 WP S3 Backups – An alternative Amazon S3 backup plugin. Ezpz One Click Backup – Automatically backs up your website to any FTP server. iDrive For WordPress – Backs up your whole WordPress website to your iDrive online account. 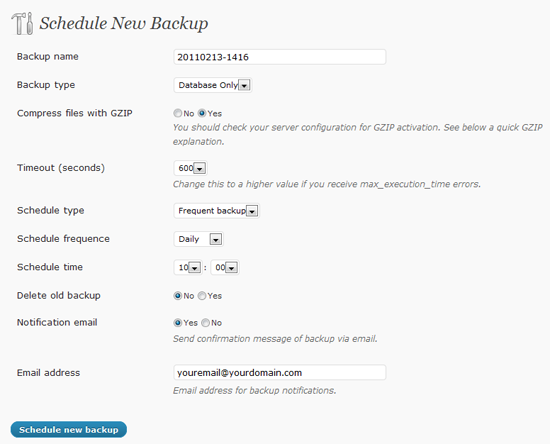 Backup WordPress – Schedule daily backups of your database and files to your server. You can exclude specific files and folders from backups if you wish. WP InstantBackup – Backup your database and files via FTP or email. BackupWP – Your database and files can be backed up to your server or to an external cloud storage service such as DropBox, Amazon S3 or Google storage. My EasyBackup – Easily backup, restore and migrate your database. Backups are stored on your server and can be placed outside the WordPress installation so that no one else can link to it. PressBackup – Backup your website through Amazon S3 or PressBackup. Sypex Dumper 2 For WordPress – A plugin that lets you create and restore your MySQL database. Updraft – Backup your website to cloud services such as Amazon S3 or Rackspace Cloud. You can also backup to an FTP destination or via email. Duplicator – Transfer an entire site from one location to another in 3 easy steps. OP Archive – A one-click backup solution that backs up your files and database to your server. Drop In Dropbox – Backs up your files to your Dropbox account. WP Time Machine – Backup your files and database to Dropbox, Amazon S3 or via FTP. 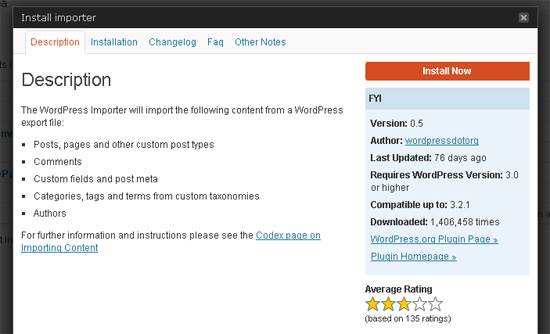 WordPress Move – Helps you migrate your WordPress website to a new server. WP Migrate DB – A useful plugin when you are moving to a new host. The plugin backs up your database and does a find and replace on your old URLS so you don’t have to do it manually via PHPMyAdmin. 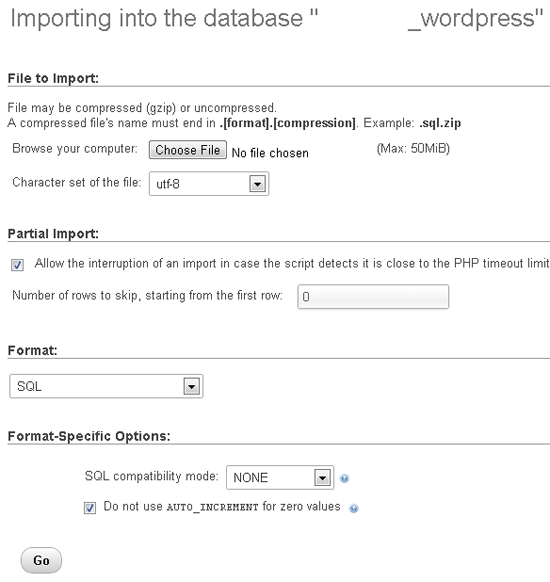 WP Export – Export your database as a CSV file. What backup solution you use for your WordPress website depends on your own situation. It depends on your budget, your experience administrating FTP applications and databases and how important your website is to you. The one thing you shouldn’t do is disregard the importance of backing up your website. There’s always a chance of someone hacking your website and you never know when something could become corrupted in your files or database. So don’t be afraid to pay for a good backup solution if the free alternatives are not practical (which is usually the case once your website reaches a certain size). What method of backing up do you use for your WordPress website? Please let us know in the comments area. Backupbuddy all the way. A small investment for the developer suite and single click db and file backup with single click restore to any server. I couldn’t imagine life without it now! 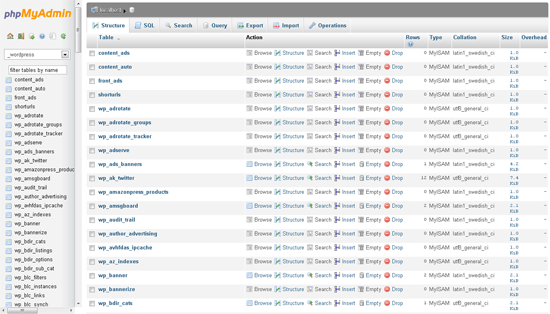 I use MySQLDumper for all my MySQL-Databases. I’ve been using vaultpress since its beta launch. I swear by it. I’m able to download database backups, themes, plugins etc from around a year ago on any date I want. Very few backup options offer you that. I run a VPS that hosts quite a few WP sites. I use a combination of AutoBackupMySQL (by Swordsky – http://www.swordsky.com/) to dump DBs to files every night and keep each backup for 30 days, and then JungleDisk server edition to backup the file structure and these DB dumps shortly afterwards. Has saved my neck a few times – reliable and cheap. JungleDisk does differential backup so that keeps uploads/storage costs minimal. VaultPress gets my vote as a user-side backup tho. it creates a perfect copy of the entire site, allowing me to save a copy whenever necessary. surely he must go to the list. I’m surprised I never saw that when doing research for the article. It looks pretty good. i use PhpMyBackup most times. It is very easy to understand, has many functions and is open-source. It can even send the backup via mail to you. It will backup to the web server, remote FTP, Amazon, Dropbox, Google Storage, Microsoft Azure, RackspaceCloud, SugarSync, E-mail, etc. Supports scheduling, keeping the last X backups, and e-mail alerting and is FREE. Whoa, I’m sold. Gonna test it for a couple of weeks but this looks like an amazing plugin! A really good article and a great plugin list, thanks! Thanks for reviewing ManageWP, we appreciate it. Wow! This ManageWP tool is awesome! Thank you for this guide! Believe it or not, I’ve been blogging for 6 years and I still find backing up confusing, mostly the difference between backing up from PhpMyadmin and backing up from the dashboard. Nice collection for a very important proces! I use the free backWPup for some sites and that’s a great one also. thanks for the list of backup plugins at the end! 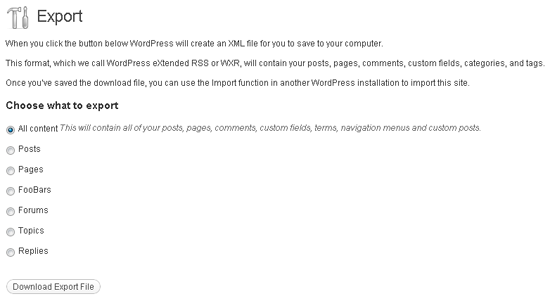 using the xcloner plugin for all my wordpress sites. i like the userfriendly way of configuration and, of course, the cost free service. all backup solutions with no connection to an external storage device like dropbox or the amazon cloud have the problem of limited storage space on webaccounts. in some cases you can avoid this by deleting old backup files via cronjobs or within the plugin itself. I’m a poor guy with no money to spend and I’m using the old traditional method to copy files across via FTP and many times it works. Recently I got into trouble when transferring one site from a location to another. I think is because the DB is too large and gives errors. I might consider one of the alternatives described in this article. My blog is large and has been around for several years (just passed 1,000 posts). I’ve always done DB backups using WP-DBManager. But after cleaning up two sites that got hacked recently, I’ve been looking for a more complete solution. I’ve spent the last few days trying to get BackupBuddy working but I’ve been unsuccessful and have pretty much given up on it. Apparently, it doesn’t work well on Dreamhost (shared) hosting when the site is large (my site is 1.5GB+). At the moment, I am considering CodeGuard and MyRepono, but after reading your post, will look at the others as well. While I like the idea of VaultPress, I don’t feel the need/desire to spend $15/month. MyRepono sounds like a good option, but I also like the security features of CodeGuard (especially after being hacked). I simply backup my database using WP-DB-Backup, the reason why I like it so much is because it emails me an attachment of the php file every week, or however else frequently I choose. It’s important to set up automatic backups because most people forget to make them regularly, or something they think they have made backups more recently than they think. (A manual backup made 2 months ago, feels like it was made just 2 weeks ago). b) that the backup files actually work and are not corrupt or incorrectly configured. Thanks for this – I was unsure about how to backup and your article pretty much spelled it out to me! 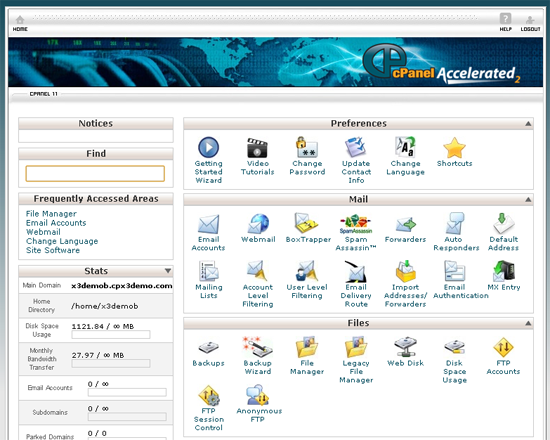 I used Cpanel and did it that way. With so many variants, is there a particular free plugin thats benefits outweigh using any of the others? I use BackWPUp, and have been for a few weeks now. I haven’t had one problem with it. Restoring is a breeze as well. Every morning at 3am I get an email telling me that the backup was successful. I can even select which folders to back up, optimize databases, and even back up to Amazon, Dropbox, Google Storage…the list goes on. You can set the limit of back ups in each directory so that your server, or storage solution, doesn’t get full. Be sure to donate! It is absolute the most prized plugin I have. I need to back up my entire site no just the database but all images css files and design, which method should i use? There is another great solution to backup your website. allow incremental and full files backup, database backup without mysqldump that do not lock the access to database during backup. 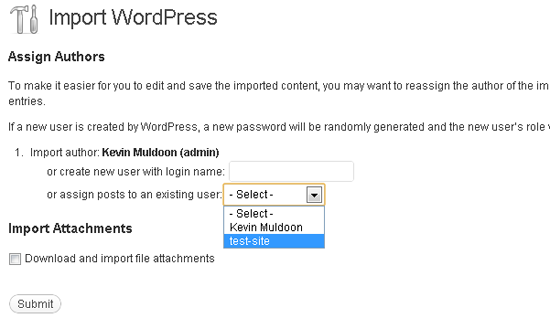 The backup can be encrypted, a good solution to protect the low security md5 wordpress password encryption. The archives can be sent to Email, Amazon S3, email or locally, Dropbox is actually in development. It integers a restoration system without files manipulation, downloading automatically backups from storages. Nice list! Was quiet useful! I have bookmarked the page. Awesome! Thanks a lot for your step by step tutorial. I was having doubt on backing up my site. Thanks for the great article, well worth it. I have read your article and am very new to building a website and very confused how to restore from my backups. I had tried to change the url and site url from angelsforgiving.net/wordpress to angelsforgiving.net. When I tried to restore to server I get 2 fatal errors. Now only have empty wordpress website with no pages or ecommerce of my original website. Is there any way you can help me on how to restore my website to server or provide me with information how to do this. I don’t know what folders to restore and what folders to restore to on server. Can’t find anyone to help I have been all over the internet and wordpress with no luck. Thanks for your time. Very nice tutorial for something that should be number-one-priority for every serious WordPress user! Some time ago, I did my own research about the topic. More specifically, I wanted to backup a live website and restore it on my localhost, for further testing. Thanks , Its been 2 months and I was searching good information to take backup of my site. I was looking for an article about how to backup a WordPress site and I ended to this perfect article. Enjoyed reading and looking forward to applying it to my websites. Thanks Kevin. And I also talk in that article about how to backup a free WordPress.com blog . ManageWP is probably the best plugin I have. I wish I found this years ago! Nice Tips! This post has cleared all my doubts about backing up my WordPress blog. I am looking for a tutorial for a site. However I got the details and best tutorial from here. Thanks. Came across this post while researching backup options for wordpress. It seems this is quite the rabbit hole of a topic. Lots of good information here which seems to still be relevant. I’m on GoDaddy, and to confirm, Manage WP will sort of work but it’s not ideal when it comes automated backups. I’m looking into some of the other options you have listed. Thanks for putting this together.